"In the 1930’s, Headlight Overalls of Detroit merged with Crown Overall Mfg. 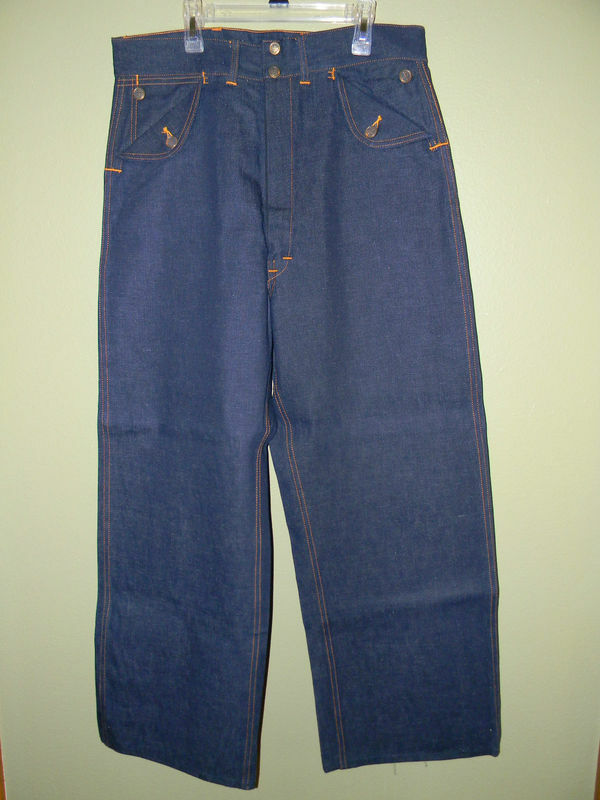 Co. of Cincinnati. 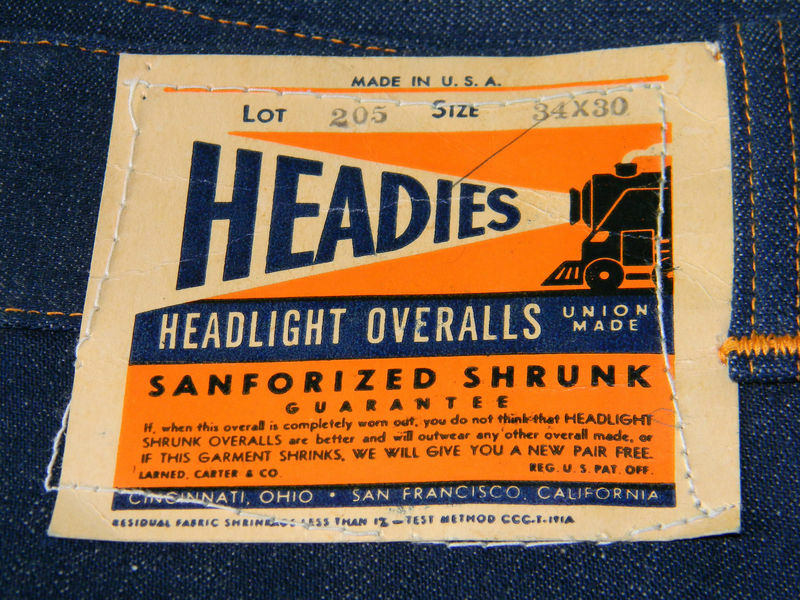 The new company, Crown-Headlight, was headquartered in Cincinnati/San Francisco but continued to sell garments under both the Crown and Headlight brands. 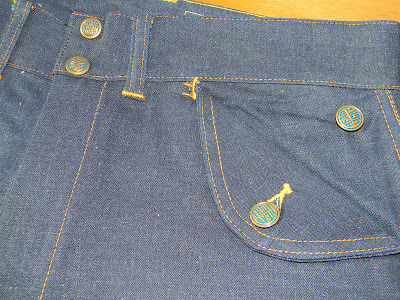 As the waist label on these jeans confirms, this pair is of the post-merger era. 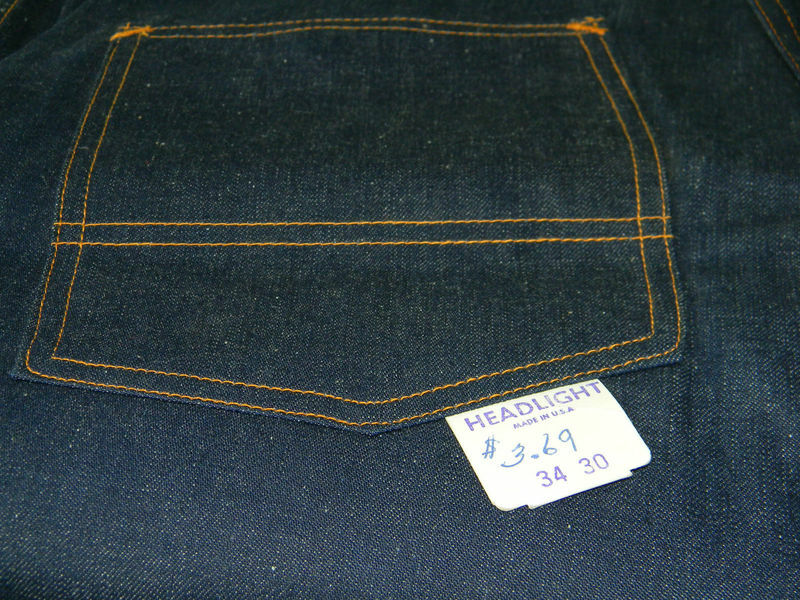 The waist label also mentions federal specifications for textiles that were first introduced in April 1937. 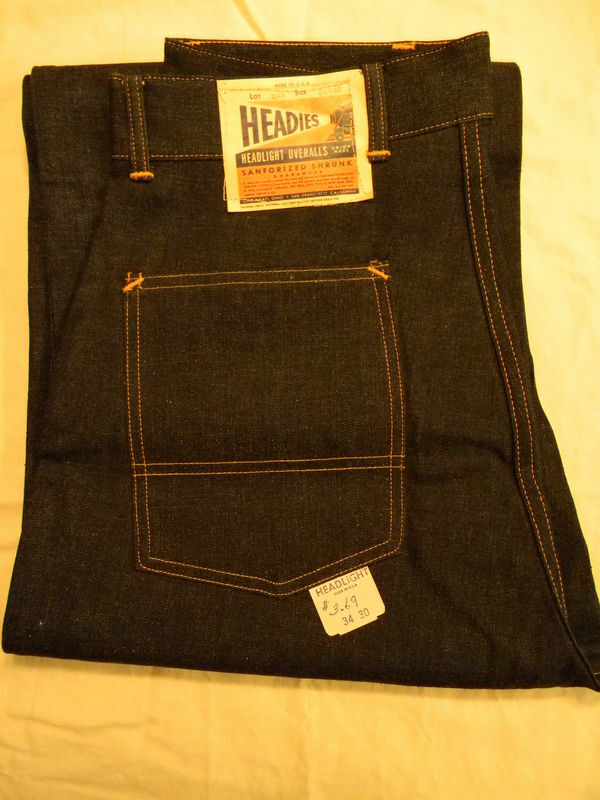 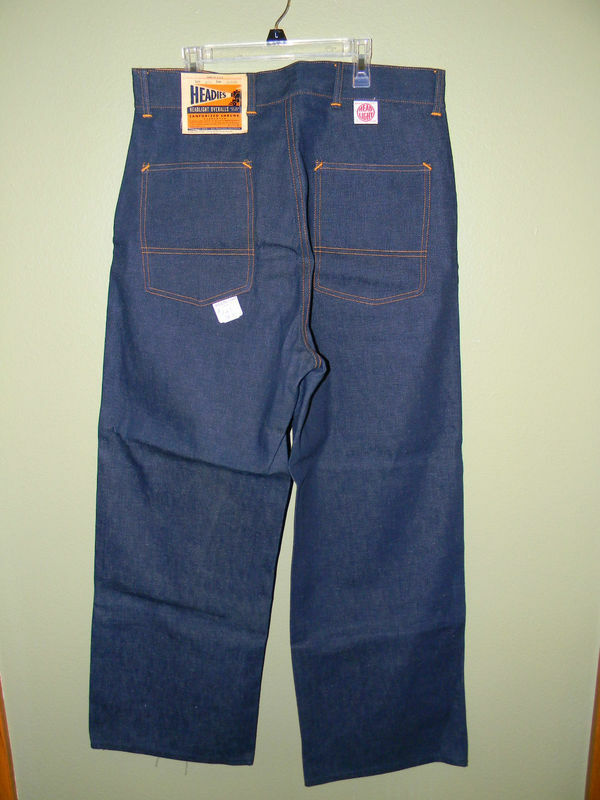 Because Crown-Headlight was ultimately bought out by Carhartt in 1960, the approximate age of this pair of jeans is anywhere from 50 to 70 years old.In the early 1950’s, advertisements for Headlight apparel marketed the Headies line of jeans as High styled dungarees. 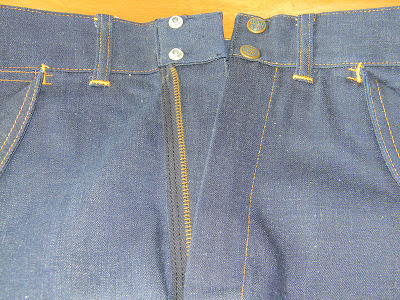 Extra full cut to fit husky youths and boys."